I wonder if there is any way I could access my MacPro at work from home using the screen sharing method, without anything being visible on the monitors of MacPro at work. I am currently able to do the standard screen sharing using my work MacPro from home, and can also normally access its folders etc. My question relates to ensuring privacy of the work content in case someone walks by while I'm using that remote computer. Unplugging the work computer's monitors would not be a fully working solution, as it would only partially resolve this issue. TightVNC. Cost: Free for personal use. TeamViewer, is one of the best remote access / remote control utilities out there. It's free for personal use but to buy a license it's expensive. 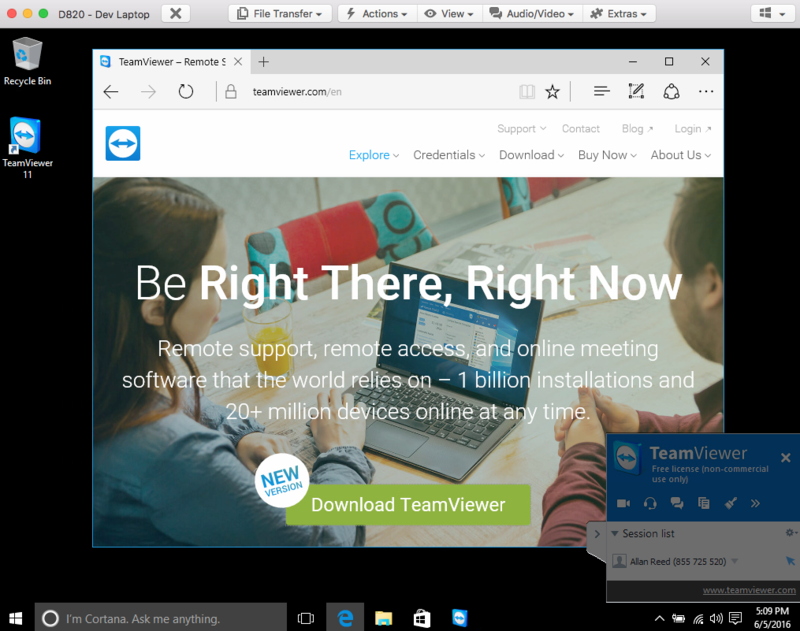 If you have many clients to manage, TeamViewer is the one. There is zero setup involved. unlike VNC which you have to open ports on your router. TeamViewer does have the capability to black out your screen and you get this feature with the free version - you don't need the paid version. I tested this today and it works. To do this, you have to first disable remote input, then click on show black screen. If you notice the black screen on the laptop below. All you can see is the pointer arrow and that moves with the TeamViewer session and not the remote mouse/keyboard. Unfortunately (at time of writing) TeamViewer's "Disable remote input" and "Show black screen" features do not seem to work in the macOS Sierra version. Another approach. 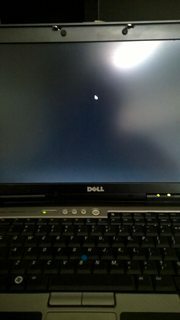 Turn on the guest user on the remote computer, then log in as guest user on your first screen sharing connection. Make another screen sharing connection, log in your actual user, your activity won't be shown on the remote computer. If you have FileVault on remote computer, you will not be able to use guest user, as it will restart the computer on Safari-only mode. With that said, just create another user, log in as that user on your first screen sharing. Then make another screen sharing connection using your actual user. Not the answer you're looking for? Browse other questions tagged remote-desktop mac-pro screen-sharing privacy .